Used as a reference by healthcare professionals and in anatomy courses. Includes all body systems, comprehensive gross anatomy of the male and female (each model with 5,000+ structures), select microanatomy, encyclopedic definitions, disease descriptions, pronunciations, and quizzes. - Over 5,000 3D structures in a male and female human body. (Over 10,000 total.) You can zoom, pan, and rotate to study from multiple viewpoints and zoom levels. - To learn more about any structure, tap on it. You’ll get a definition, pronunciation, Latin term, and common diseases explained. 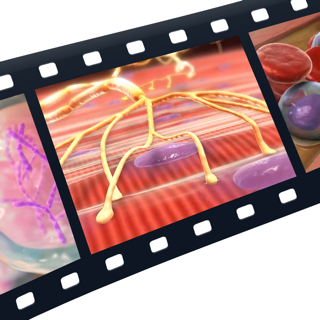 - There is also additional content, like select microanatomy and physiology videos. (2) How do I access all those 3D structures? 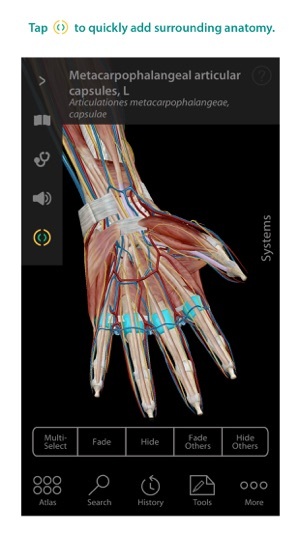 - Use the browse or search options to find a body part and show it on screen. - Select from over 100 pre-made views. These views offer another fast way to access the most popular content. We set them up so you can quickly see regional anatomy (like the thoracic cage with the heart, lungs, and great vessels or the pelvic cavity with reproductive, urinary, and digestive organs). (3) What are some of the ways I can share this content with my patients, students, or classmates? - Tap the share icon to email content to anyone! - Everyone gets a screen capture and a link. Users of Atlas for iPad/iPhone can use the link to open and save the same 3D view on their device. 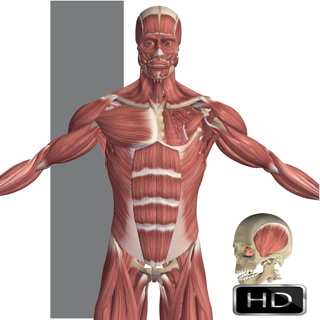 (4) What makes Visible Body’s Human Anatomy Atlas the worldwide best-seller? 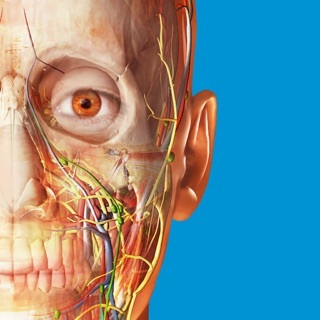 - Expertly developed: Our 3D models and animations are created by biomedical visualization experts with advanced degrees from Johns Hopkins School of Medicine, Yale University, University of Texas, and others. 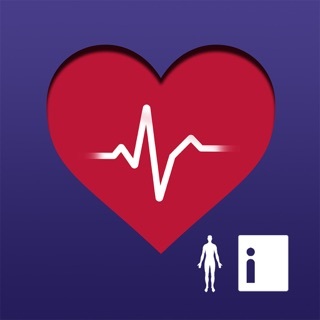 - Easy to use: Ranked #1 by iMedicalApps! 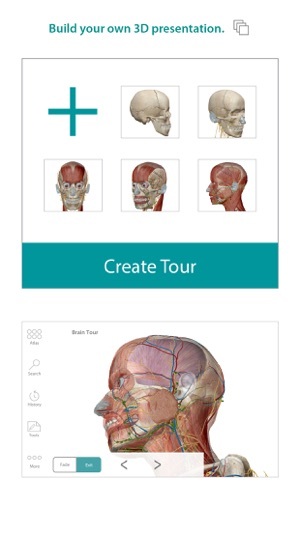 "Ideal for students and teachers of anatomy, as well as for patient education." 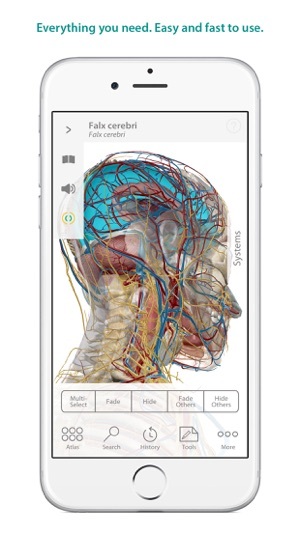 (imedicalapps.com). 2015 Tabby User’s Choice Award. 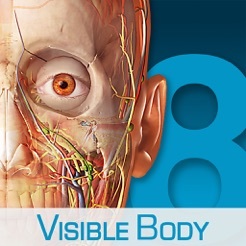 - Used in private practice, at hospitals, universities, and by consumers: Visible Body | Argosy Publishing has decades of experience providing medical content that helps visualize anatomy & physiology. Pharmaceutical and med device companies use our apps to present new products to doctors. Wolters Kluwer Health includes our apps in the wealth of solutions they provide hospitals, medical libraries, professionals and students in medicine, nursing, allied health. 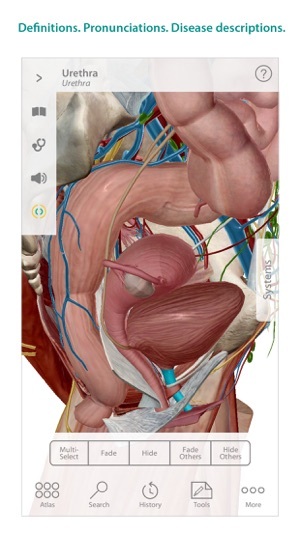 Thousands of people a day, around the globe, visit our website to learn basic anatomy and check out our apps. (5) What content is in the in-app purchases? - Most of the additional purchases are videos that show basic physiology and pathologies. These are ideal if you want to extend your copy of Human Anatomy Atlas to also include visual information about physiology and pathology. The app comes with over a dozen videos included. Check those out to get a sense for if you want more. 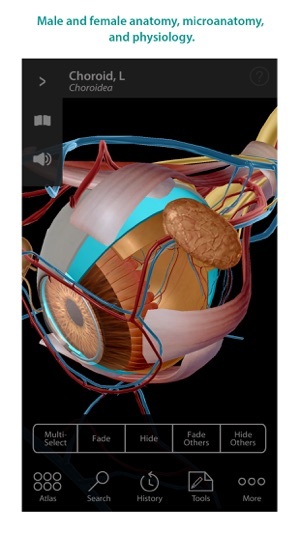 - There are two in-app purchases that add detailed bony landmarks, muscle attachment details, and 3D animations of common muscle actions. These are for users who want very detailed information on musculoskeletal function. - More anatomy! Dozens of new nerves and vasculature added to head and neck region, new male and female pelvis, more muscles, bursae, and ligaments in upper limbs and vertebral column. - New! Tap the blast icon to add anatomy that surrounds any structure. - New! Create a tour. Need a presentation for class or have a series of views you always show patients? Use the new tour feature to link favorite views into a presentation. - Additional UI enhancements and minor bug fixes include the option to change languages and set preferences within the app and improvements to the search algorithm. It is difficult to study medial side of the leg, knee, ankle, foot, hip, because the second limb is one the screen too and disturb the previous one while rotation. It is very bad detail. Could you create a "regional" as regional of only one limb, please. Thanks for nice app. Why don’t you make adapt for screen iphone X? I gave money for what? © Argosy Publishing, Inc., 2007–2015. All Rights Reserved.